The Italian artist’s first and only US retrospective took place in 1977 at New York’s Solomon R. Guggenheim Museum, which also presented a smaller show in 2006. “An exhibition at the Met will necessarily be all-encompassing,” a source says. A spokeswoman for the museum confirms that a Fontana show is “under consideration”. But the show has not been formally announced. 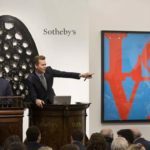 Is Fontana the New Richter for Global Buyers?